China committed towards development of industrial parks in Ethiopia: Amb. Addis Ababa, March 15, 2018 (FBC) – Ethiopia is China’s gateway to Africa in many areas, including in investment, industrialization and infrastructure, the newly appointed Chinese Ambassador to Ethiopia Tian Jian said. In an exclusive interview with ENA yesterday, Ambassador Jian said infrastructural works like Ethio-Djibouti railway and the industrial park can be replicated in other African countries. “We want to build China-Ethiopia relationship as role model for China’s relationship with Africa, and Ethiopia could be a gateway to our cooperation”, he added. According to him, finance, trade, and people-to-people relationships are among the very crucial areas to strengthen ties between the two countries. Being the largest economy in East Africa and the second most populous country in the continent as well as the seat of the headquarters of the African Union, Ethiopia is a very important country, Jian noted. “Free trade is good, but it has to go hand in hand with investment. Otherwise developing countries will be at the bottom end of the global value chain”, he said. The Ambassador stated that China believes and is committed towards the development of industrial parks with appropriate infrastructure and investment to bring about the economic transformation and industrialization. 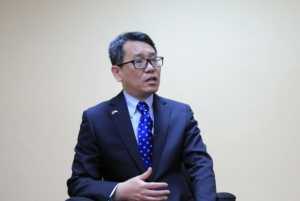 Ambassador Jian said there will possibilities where journalists will study, work temporarily, and take specially tailored training to strengthen media cooperation.